Is having a yoga studio, meditation classes, and fresh smoothies in your office going to be commonplace in the near future? Two former staffers at WeWork—the coworking mega-company valued at $16 billion—think so, and they’re making that endorphin-boosting dream a reality in New York City. Primary, the brainchild of Lisa Skye Hain and Daniel Orenstein, is set to launch May 1 in the Financial District with a coworking space that’s loaded with those good-for-you perks and more. Those amenities will include an in-house fitness studio with more than 30 yoga and meditation classes a week from contracted instructors, a curated healthy snack selection (chosen by Primary’s very own chief wellness officer—yes, that’s a thing), catered lunches from Dig Inn, fresh juices and smoothies from Pure Green and Lulitonix, and a Stumptown Coffee barista in the kitchen area—which will make banishing #saddesklunch much easier. In addition to that, Primary will coordinate off-site wellness activities such as bike rides and runs, so personnel will have plenty of options when it comes to getting their workout in. And there’s no need to worry about returning to work sweaty—showers and changing rooms (along with bike storage) will be in the space as well. 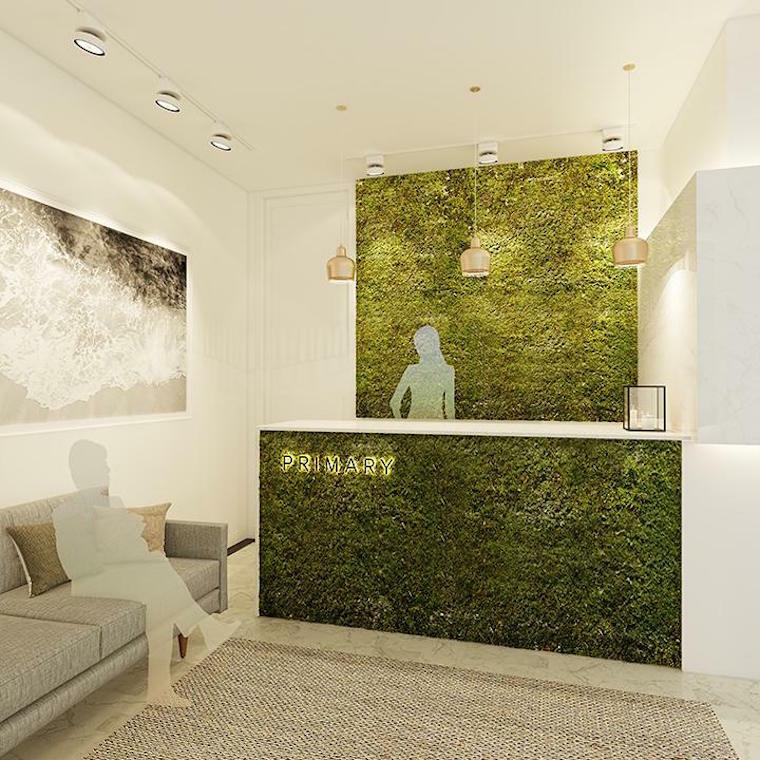 Primary’s first location is slated to open May 1 on 26 Broadway in Manhattan, and will be a 25,000-square-foot workplace that can accommodate up to 170 businesses and 324 employees. Their prices range from $150 to $7,000 a month, which includes access to the health amenities. The base $150 offers unlimited fitness classes, but only one day in the coworking area. An office that doubles as a health and fitness space? You might never want to leave work. Not yet working in a wellness wonderland? Try this five-minute meditation to stress-proof your mind, or, hey, learn to love your job anyway.